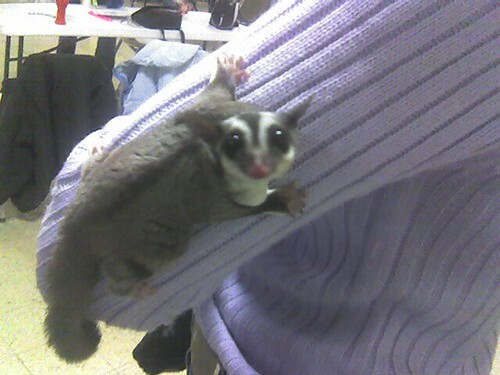 This is a suger glider. They’re apparently pretty popular pets but aside from the cuteness, I can’t see why. Very interesting little fellow… did you get to hold him? No, it was a little too shy for that. They’re very cool though. Fast, and they fly because of they way their skin stretches out between their limbs. Now there’s something you don’t see every day! They’re smaller than I thought they would be. I see a pet like that and all I can think of is the way the house would smell after a few months of having one.